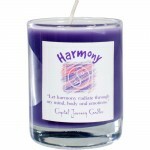 Use Harmony Soy Herbal Candle to create a harmonious and happy environment. 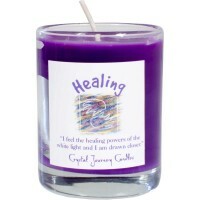 A great scented candle when you want to get in touch with your sacred space, allows us to enlighten our journey. 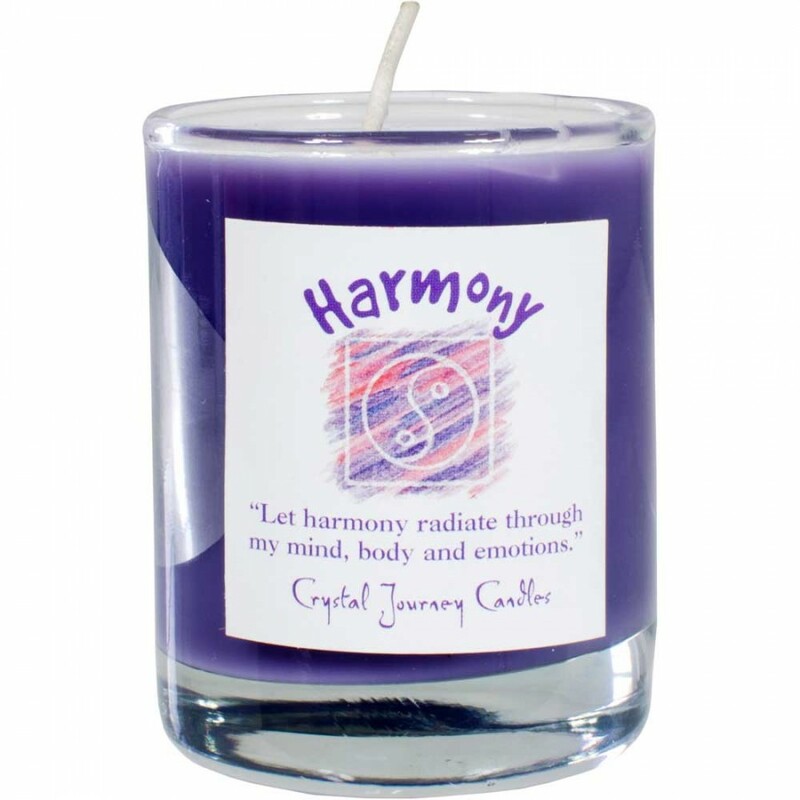 Each Soy wax filled glass votive holder comes with an affirmation and inspirational message. 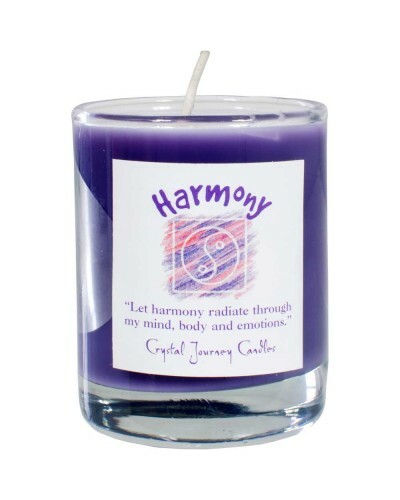 Approximate burning time; 18 to 20 hours. 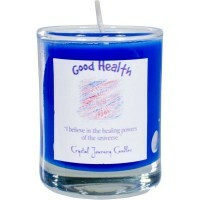 Clear glass votive holder filled with Orange Blossom, Rose, Sassafras, Juniper, Myrrh, and Dragon's Blood candle scents. Item Number: KK-39220 | Approximate Size (Inches): 2.50 wide x 2.50 deep x 2.50 high | Approximate Shipping Weight: 0.50 lbs.